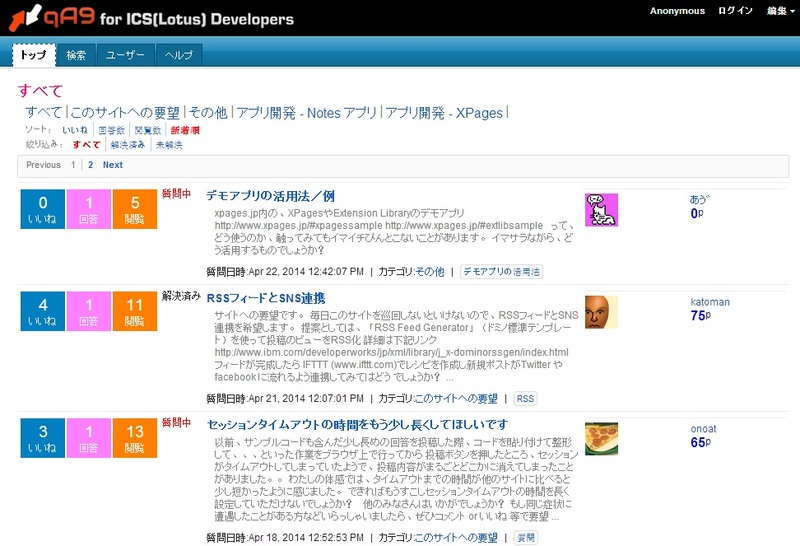 My colleague Atsushi Sato notified me that a team of six Japanese IBM Collaboration Solutions business partners, the Kyushu Notes Partner Group, is implementing an XPages based questions and answers app similar to StackOverflow with functionality to like and rank questions and answers. The goal is to use this app for all questions related to IBM Collaboration Solutions in Japanese. This month the first beta went live: http://qa.xpages.jp. The app is hosted on Softlayer and the group intends to open source the app.